It's official. The Subieyota has a name. Subaru's new rear-wheel drive sports car, currently under joint development with Toyota Motor Corporation, will be named "SUBARU BRZ". 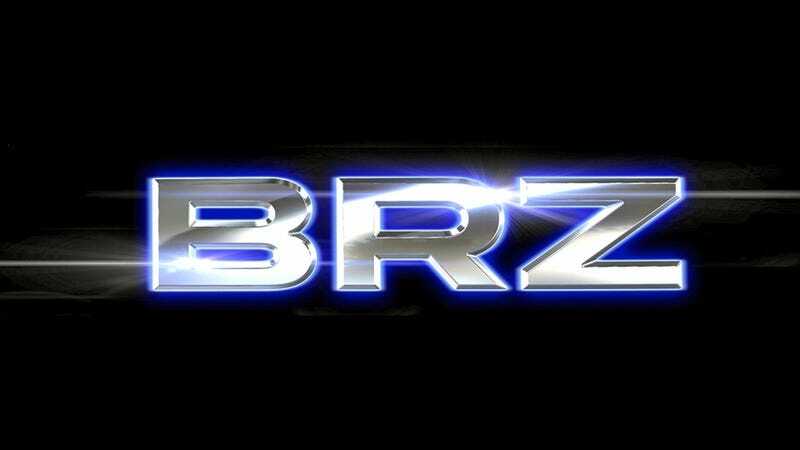 "BRZ" stands for "Boxer engine", "Rear-wheel drive" and "Zenith." This is the Subieyota; is it AWD? No, we don't mean a cheap brand of TVs. Actually, Subaru says that the name is an expression of confidence in the "Horizontally-Opposed Subaru Boxer engine." While the start of production is planned for spring 2012, FHI will exhibit the technology concept of the "SUBARU BRZ", named "SUBARU BRZ PROLOGUE - BOXER Sports Car Architecture II," at next month's Frankfurt Motor Show. And above? That's what the logo will look like.